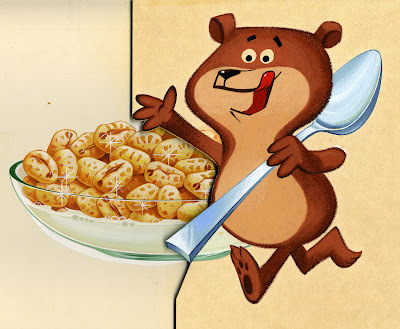 Dan Goodsell's recent post about Super Sugar Crisp's Sugar Bear reminded me that my first cartoon influences were all the awesome animated breakfast cereal mascots of the late sixties and early seventies. Sugar Bear was always one of my favorites (along with Quisp, the Freakies, The Trix Rabbit and Cap'n Crunch), and now Dan has created a photo set of the design evolution of Sugar Bear! 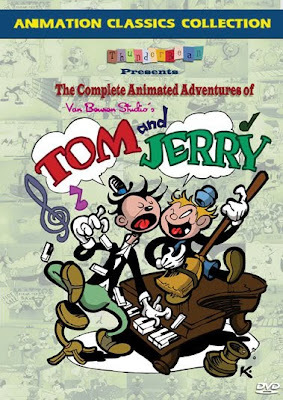 There are many diffferent design approaches, and each one of the artists really knew how to draw a cute and appealing cartoon character. Fantastic stuff -- go take look! 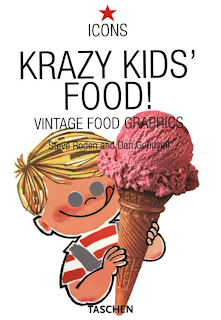 PS...Dan Goodsell is also the author of one my all-time favorite cartoon art books, "Krazy Kids' Food"
You brought back memories. These were my fav cereals as a kid.